The top picture is Copenhagen in Winter. No one wears hi vis or helmets and street lighting is so good that lights are seen as an option. 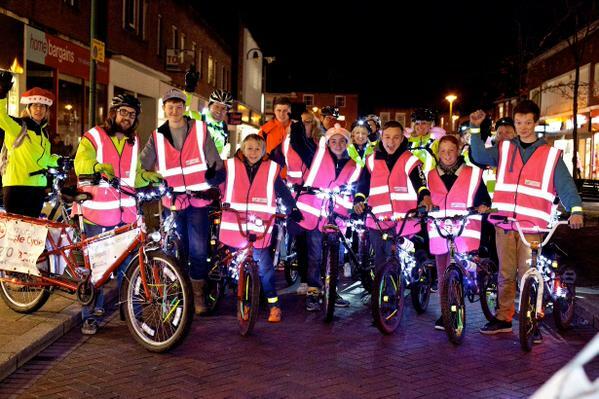 The bottom picture is of Crewe where cyclists and walkers are being urged to Be Brighter. 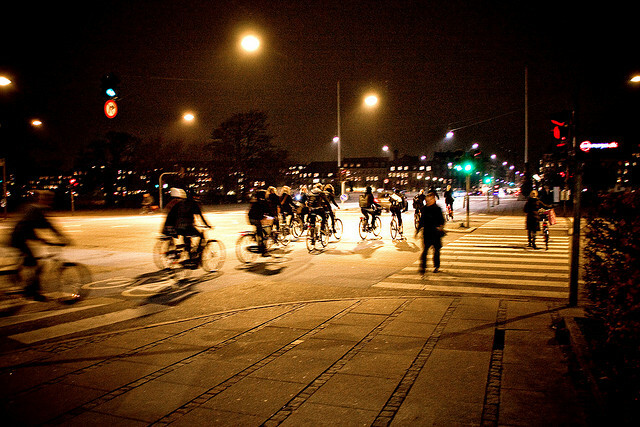 Copenhagen has over 40% of commuter journeys by cycle. Crewe has less than 8%. The photo below is of the busiest cycle route outside Crewe station where the 2 street lights have been out of order for 3 months. 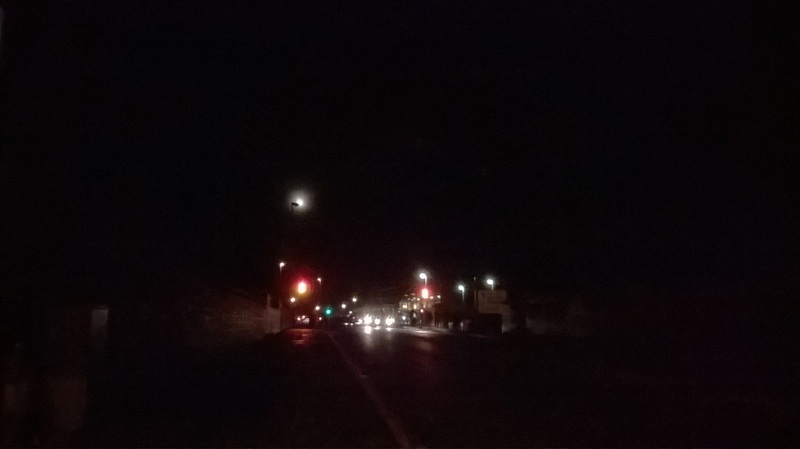 Note the moon shining behind the street light! Is this why we need to be so brightly decorated?